Mid-Engined 2020 Chevrolet Corvette C8 to Cost $170,000? Not your “budget supercar for the masses” anymore! According to a user on the Corvette Forum, the price of the upcoming mid-engined 2020 Chevrolet Corvette C8 will not be in the $70-100k range as many guesstimated it to be. The 2020 Chevrolet Corvette C8 may hit or miss the mark in terms of critical and commercial success. But whatever happens, it will be a remarkable car in the 55-year-old history of the Vette. It’s the first time that the engine is shifting from the front to the middle of the chassis. Every Corvette enthusiast is eagerly waiting to see how the car looks like beneath the camouflage and of course to experience how it drives. 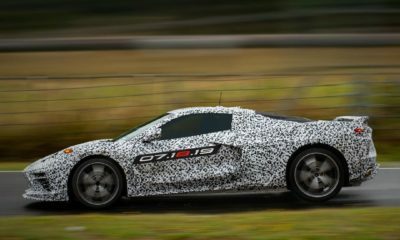 A good number of those are considering the mid-engined Corvette C8 as their next big buy too. For them, the pricing is the one aspect which needs to come out of the shadows. As we already know, General Motors is quite secretive about the launch date and prices. But we may get to see the car at the 2019 Detroit Auto Show in January. And that’s a big MAYBE. Which means, there is plenty of time to go through forums to see what the fans and spies have got to say about the pricing. Corvette Forum has an update on the same and that’s coming from a user named Zerv02, whose claim to credibility and fame in the circle comes from a previous post on being the lucky chap to see the interiors of the mid-engined 2020 Chevrolet Corvette C8. He even brought some sketches of the car to the table. $169,900 is a go. If you’re in the under 100k camp, you will be disappointed. Let the madness ensue. The post has divided Corvette Forum users in half. Some believe that if the iconic sports car is making a grand comeback in a mid-engined layout, packing enough horses to terrorize the Ford GT, then that price tag isn’t too much. Remember, the new Ford GT costs almost half a million dollars. Since the Corvette C8 is being rumored to pack an 600 hp unit in its base trim and a twin-turbo V8 with an advanced hybrid system in its top-of-the-line variant, you just can’t expect it to be priced in the same bracket as the front-engined range of Vettes. Others are of the opinion that it’s pretty unreasonable a price tag for a Corvette, mid-engined or not, when there are dozens of new and used alternatives to turn to out there. Plus, the Corvette has always been one of those affordable sports cars which can take on the best thrown at it from Europe and Italy. And sometimes, it doesn’t just keep up with the rivals, it simply annihilates them. What would happen to those customers who were buying the Corvette for the aforementioned reason? The moniker will lose the “budget supercar for the masses” tagline which it was always associated with. 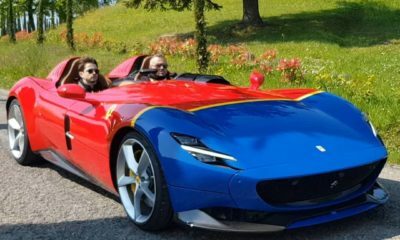 Taking the role of devil’s advocate, if GM’s plans are to fill in the slot of a halo car, much like what Ford did with the GT, then this isn’t as bad as it sounds. Though a limited production car, the Ford GT sold like hot cakes and the manufacturer had to extend the production run later, considering the demand. Chevy maybe exploring the same strategy with the mid-engined 2020 Chevrolet Corvette C8. 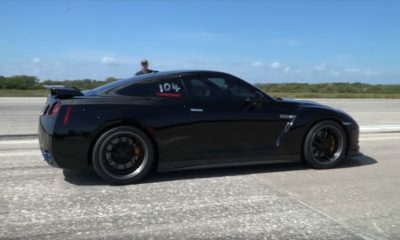 To top it off, they may not discontinue the front-engined Corvette, since it continues to sell well and will help keep the car close and accessible to its always loyal crowd of customers.